Before Cha Jing was published Lu Yu was a popular person within a circle of mostly literary men, monks and tea farmers. Soon after Cha Jing was published Lu Yu's name became "the talk of the Tang" - anywhere tea was found his name was often mentioned. In 780 Emperor Tang Dezong succeeded his farther Emperor Tang Daizong, coincidently the same year Cha Jing was published. A year after Emperor Tang Dezong was in power, Lu Yu's name and his other achievements came to the emperor's attention. Emperor Dezong felt that he should not miss the services of such an able man. He summoned Lu Yu to the imperial court and appointed Lu Yu to a senior minister's post. However, Lu Yu used his wits and eloquence together with his precedence of turning down the previous offer from Emperor Dezong's father Emperor Tang Daizong as an example. Lu Yu politely turned down the imperial court's appointment once again. Is hard to resit a good offer and especially if the offer came from not any other persons but the emperor himself. Many literary man were dying to get appointed to a high ranking post in the imperial court for what followed after the appointment were wealth, fame and glory. Turning down an appointment from an Emperor was definitely no easy task. There was this feudal doctrine in the imperial court "An emperor's words are not to be taken likely". A wrong or insufficient reason for not accepting the appointment may be considered a contempt of the imperial court the result was often death sentence. You need someone who has a lot of guts, determination and wits to do it, but Lu Yu did it not once but twice! Lu Yu was not the first man in history to turn down an Emperor's offer. There were others before him and after him. Some of these people disappeared without a trace after not accepting the offer from the emperor. Others became the "special guest" of the emperor and imperial court for life. Only a hand-full managed to get out of refusing the emperor intact and remained alive and a free man like Lu Yu. Some believed that Lu Yu was able to come clean refusing the emperor partly due to Lu Yu being a popular person in and out of the imperial court and a highly respected man to many Tang people. Furthermore his contributions to the tea industries and indirectly to the Tang's economy assisted him favourably. 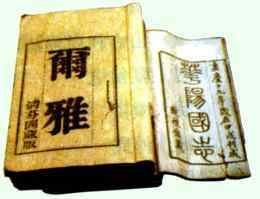 Incidentally Emperor Tang Dezong was the first monarch in history to impose a 10% tax on tea!